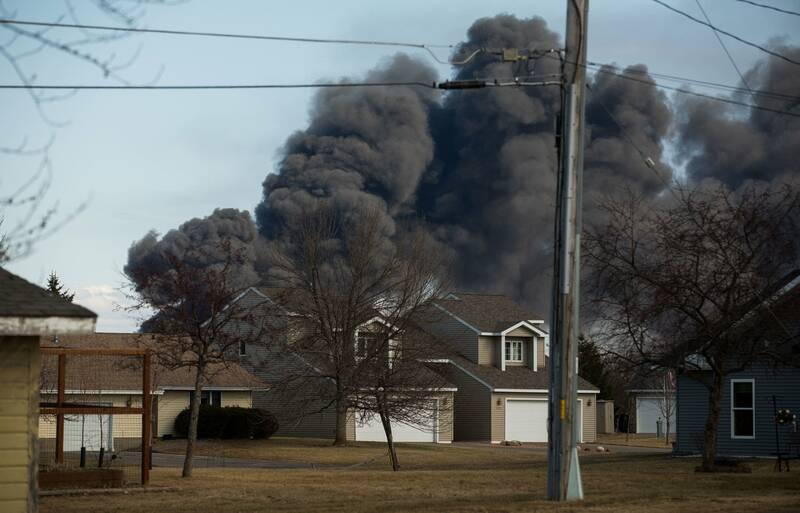 Almost six weeks after explosions at Husky Energy's refinery, Superior residents were able to ask company officials directly when the facility would reopen, while a few others asked if it needed to be in their midst at all. 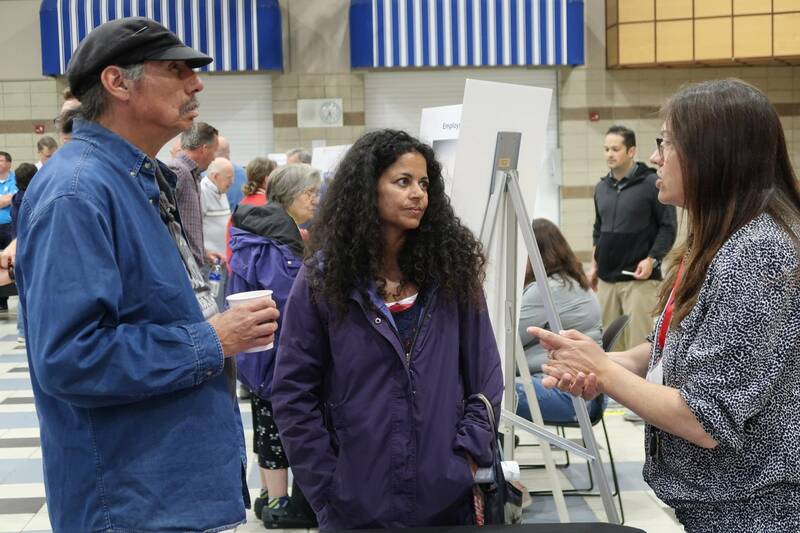 Monitoring at the facility and around the community shows there are no risks to public health as work continues, according to officials with Husky, the company's third-party contractor GHD and the U.S. EPA, who were available at an open house for several hours Tuesday. The refinery has been going through a de-inventory as product is removed from pipes at the facility, according to David Morrison, on-scene coordinator for the U.S. EPA. He said light-end petroleum compounds that go into gasoline are being treated with vapor combustion units to prevent any release of harmful chemicals as part of ongoing work. A handful of protesters and some community members questioned the transparency of company and government officials overseeing air and water quality monitoring. "I hate to say this, but are we getting the truth? Is this something different or are we being told lies?" said Aimee Peterson, a Superior native and student at the University of Wisconsin-Superior. 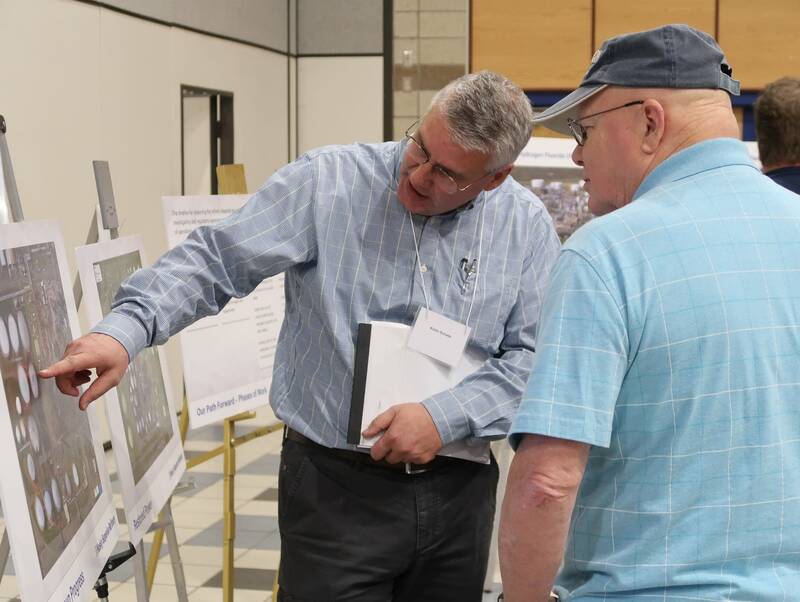 Other community members seemed satisfied with the response by Husky and regulators, including Robert Boettcher of Superior. He stopped at the open house to submit a roughly $500 claim for lost work and other expenses related to the evacuation. "Basically, they cut me a check right then and there," he said. As of Tuesday evening, the company had received 2,873 claims largely related to expenses from the evacuation or lost income. Superior Mayor Jim Paine said the company also reached out to the city to reimburse them for costs related to fighting the fire, including equipment damage and lost foam. As the recovery continues, Paine said he would like to know when the refinery will be up and running again. "We don't want them to hurry. We don't want them to do it in a haphazard way," he said. "We want them to be deliberate, but we want to know as much as possible about what is the timeline — even a best guess. When can we look at operation again?" Superior resident Scott Bartley said he was also hoping to learn when the refinery would be back up and running. "It's a pretty vital part of our community and our world to have the ability to refine fuels for everything we do in our economy right here in our backyard, like it's been for 50 years," Bartley said. Husky Refinery Manager Kollin Schade said investigators are still on the scene and company officials have limited access. "Right now, without a timeline even for the investigation, there's no way to really say in six months or a year or whatever it is," said Schade. "We just don't know." Schade said 250 to 300 people are continuing work at the refinery during the cleanup, noting no Husky employees have been laid off. Debra Topping, a member of the Fond du Lac Band of Lake Superior Chippewa, said the refinery poses too great a risk to nearby Lake Superior. "That is unacceptable to me to have them rebuild. They should be 100 miles away from this — a minimum of 100 miles," she said. "If that refinery, if that hydrofluoric acid had exploded, then what?" Duluth Mayor Emily Larson and Superior Mayor Paine have called on Husky to end the use of the toxic chemical that prompted the temporary evacuation. The company has said it will explore alternatives to the chemical.